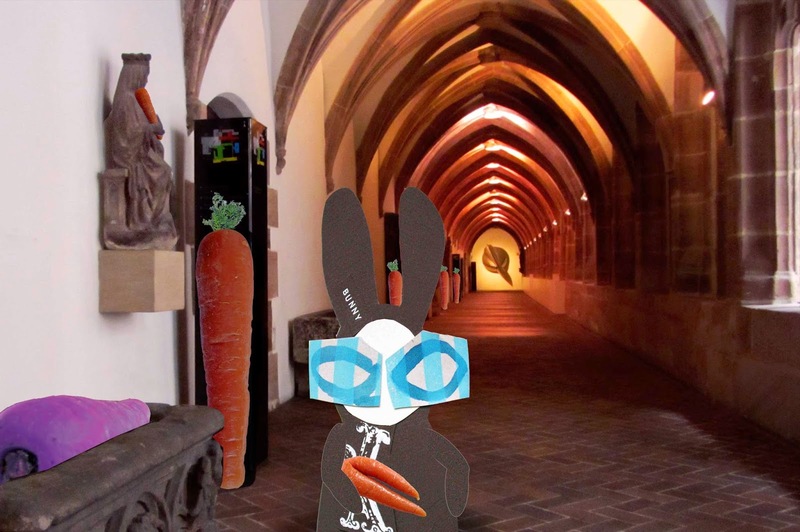 The Wabbit stalked the hallowed corridors of the Carrot Club bearing his badge of office. He had acted as Grand Daucus for three years and his tenure was due to expire, so he wanted a big splash when he stood down. He hopped along the corridor, then hopped back. "How," he thought, "can I enlist the first female member of the Carrot Club?" He shook his head like a donkey because nearly everyone thought the Carrot Club was a stuffy, male only institution. But there was one simple incontrovertible fact. Despite the best efforts of the Club, no female had ever applied. The Wabbit ploughed through a list of membership ideas. "Perhaps," he mused, "I could be a guest speaker at the Artichoke Club." The Wabbit visualised the large numbers of females he'd seen travelling every year to the Artichoke Festival of Ladispoli and saw himself moving quietly amongst them, passing out carrot leaflets. The Wabbit smiled. "I could make a special offer. If the new member doesn't like the Club after 3 months, we return the fee." The Wabbit felt he was getting somewhere so he mentally listed several ideas and thought out a design for a badge bearing the slogan "Carrots Matter". "I have it!" yelled the Wabbit suddenly. "We'll hold a cocktail and carrot reception!" His voice travelled to the end of the corridor and returned jollier than it had set out. "I'll get some costings in the bar," thought the Wabbit.